Tree stumps can be a real hazard, particularly when they’re unexpectedly unearthed in the middle of a new landscaping project or in the lawn where they can damage your lawnmower. And if you’ve just had our tree felling crew on your site, there’s a good chance you’ll have an unwanted tree stump or two. 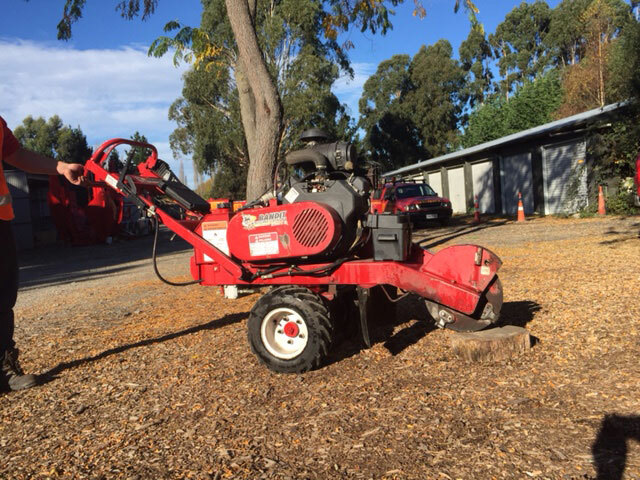 The regular maintenance we perform on our stump grinding machines ensures they’re effective in cutting and mulching unwanted tree stumps quickly and safely. Occasionally, stump grinding may not be appropriate because of its location. Where this situation arises, we will work with you to find the most suitable solution. Once the stumps have been removed, you may want to plant a replacement tree or transplanted tree. Our experts can source and plant any new trees or shrubs on sites of any size. And while we’re there, ask our consultants about any pruning, trimming or other queries you have regarding your trees. From council parks and streets to backyards, rural properties and complete subdivisions, our professionals can provide arborist services to suit your needs. Whether your project is commercial or residential, large or small, contact us now, our consultants are ready to work with you. Contact us today for tree stump removal in the Canterbury or Wellington areas.